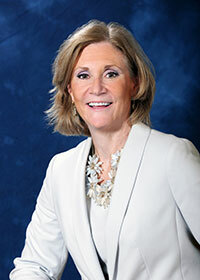 Julie Lorenz was appointed to lead the Kansas Department of Transportation (KDOT) as Interim Secretary by Gov. Laura Kelly in January 2019. With more than 20 years of experience, she is recognized as a national leader in areas of policy development, collaboration and the use of economic analysis to communicate the value of transportation investments. Previously, Lorenz was a principal at Burns & McDonnell where she specialized in strategic business consulting and planning and policy development, managing projects for the transportation industry at the national, regional and local levels. Lorenz is regularly asked to speak on future trends in transportation at national conferences and has developed and led culture change initiatives for state DOT and private sector clients. Her role of Secretary is her second tour of duty for KDOT, serving as the Director of Public Affairs and Special Assistant from 2003-2011. During that time, Lorenz led the development of several strategic planning, operational and communication efforts at KDOT, including the development and eventual legislative passage of the $8.2 billion 10-year T-WORKS funding program in spring 2010.